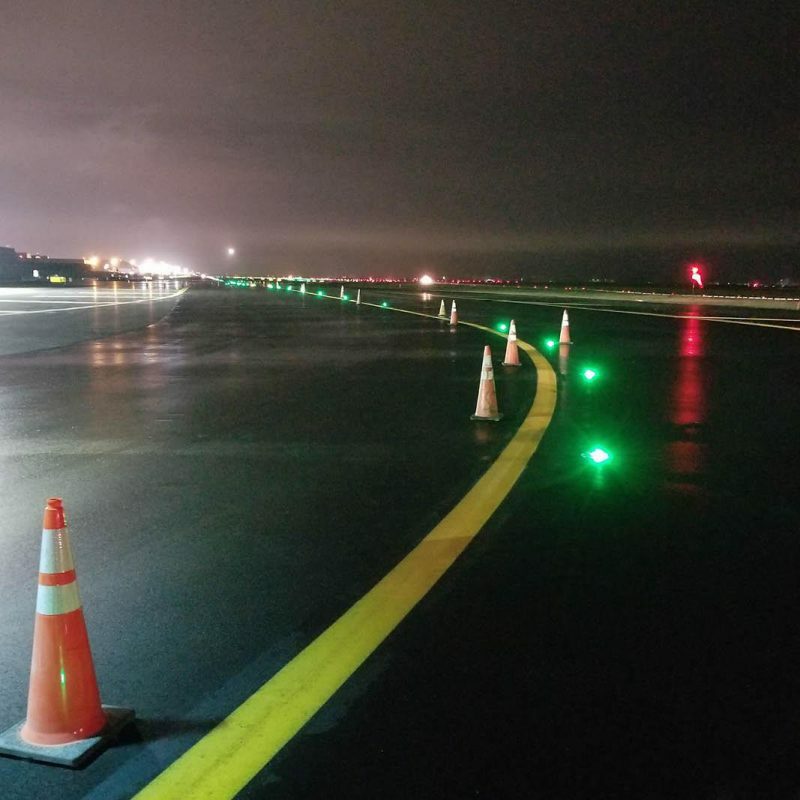 The scope of work included milling, paving, full-depth taxiway replacement, new lighting, new guidance signs, drainage, pavement markings, and landscaping. Work was performed in a closed stage, with 24/7 access to the work zone. Due to short stage durations, multiple work shifts were required to complete each stage of work within its allotted time. A new grade control system utilized by Grace vastly improved our milling and paving performance, while meeting the demanding specifications for grade and smoothness tolerances set by the PANYNJ. Using an integrated project approach, Grace affiliates Haugland Energy Group (HE), Inwood Material Terminal (IMT), and Midnight Trucking (MT) worked in unison, highlighting the vertical integration of the Haugland Group companies. HE performed all electrical components of the scope, including removing the existing system and installing new lighting and guidance signs. All imported project materials were provided, and removed debris were transported and disposed of by MT and IMT, through IMT's facility in Inwood, NY. This unique synergy increased control and streamlined the execution of work, enabling Grace to perform successfully under extreme time constraints while combining stages, ultimately saving time and money, lessening the impact on airport operations. 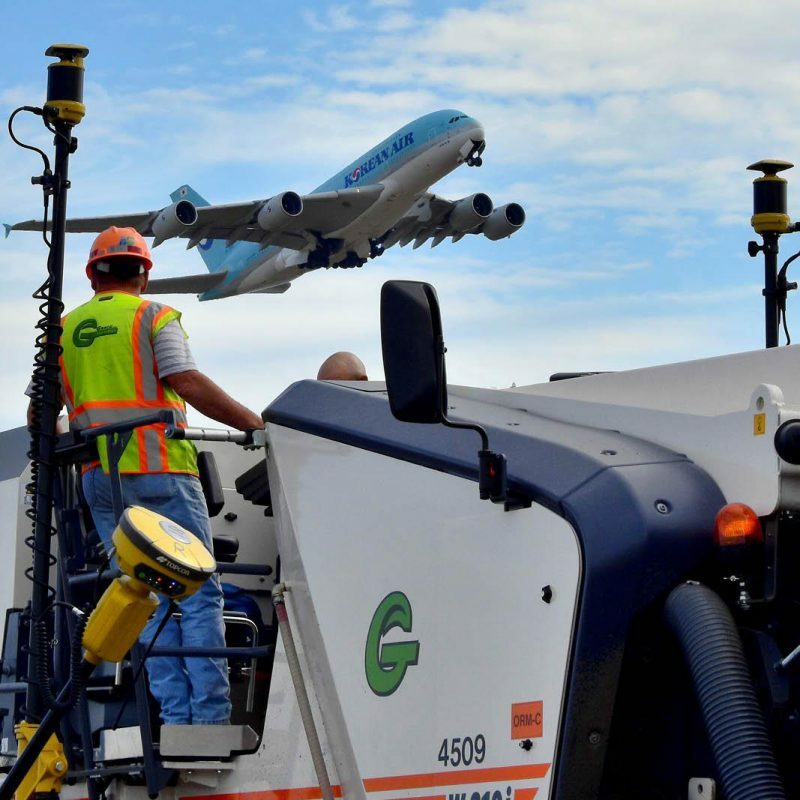 Grace Industries is a prequalified airside paving contractor for the PANYNJ. Read about the 3D milling performed on the project here.